Unless otherwise specified, all data has been gathered across all the platforms where the game is available (Win, Mac, Linux, Ouya, Fire TV, GameStick, Android mobile). 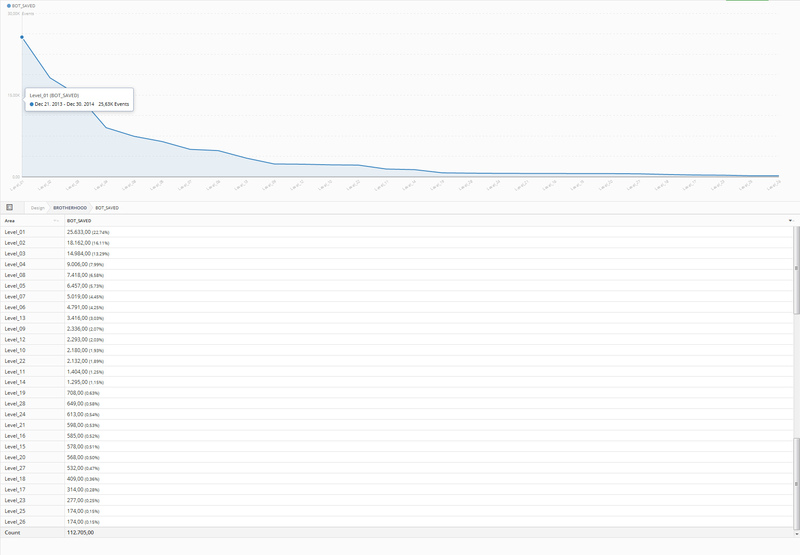 I’m using GameAnalytics SDK in my game and that’s where most of these graphs are coming from. Click here to read a sum-up of the data if you’re short on time! Total Users: 21737 players across all the platforms. 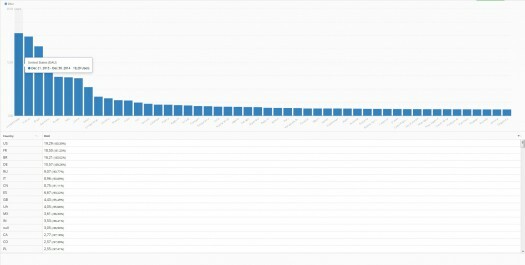 Best month for user acquisition: October 2014, with a growth of 10771 players. 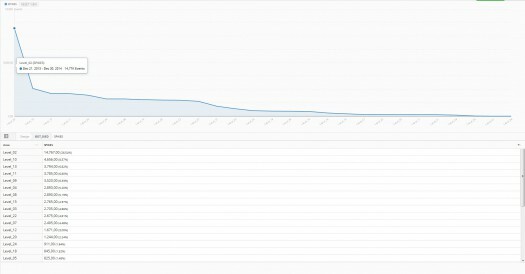 The nice folks from AppGratis featured the game on October 10, sending 10k users on that day alone. 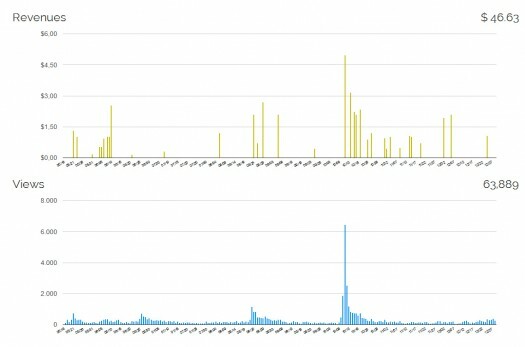 You’ll see a spike around that day in several graphs, even though on some of them it was registered as October 9 / October 11 because of the different timezones around the globe. 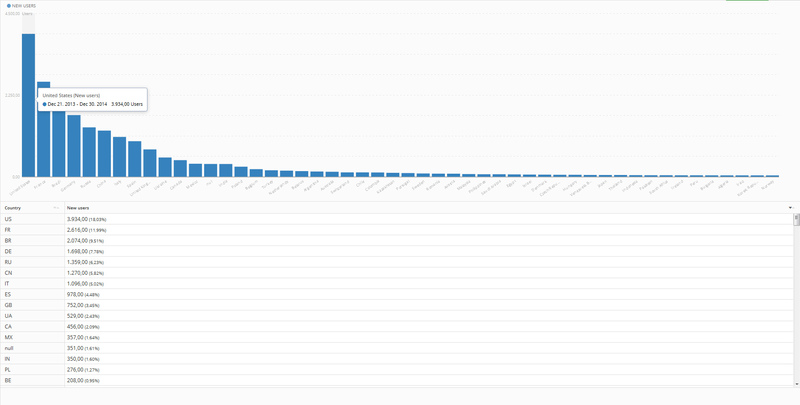 Total Users by Platform: There are some issues with this reporting, with a strange “null” value skewing the data. Looking at the total users on the previous graph, we can guess that this “null” data is almost redundant so I’ll just ignore it; 21411 (98.5%) players are playing the game on Android, 15 (0.06%) on Linux, 8 (0.03%) on Mac and 8 (0.03%) on PC (Windows). Total Users by Country: 3934 (18%) players are in the United States, 2616 (12%) in France, 2074 (9.5%) in Brazil. 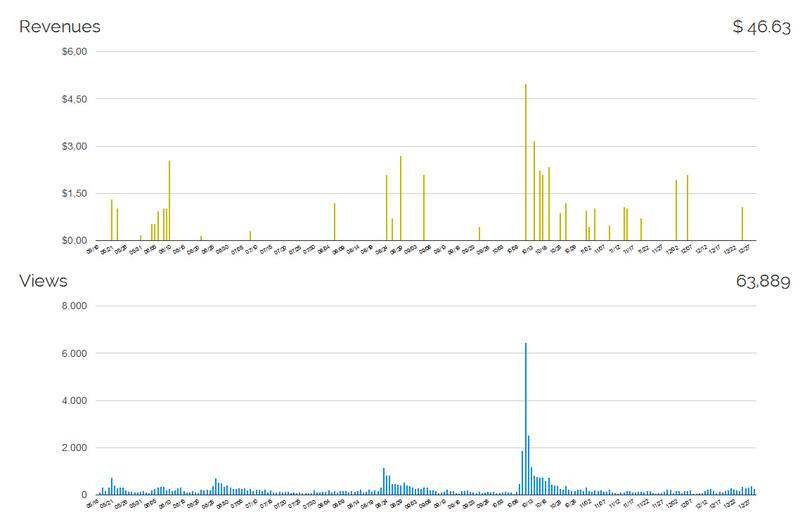 Daily Active Users: an average of 98 players across all the platforms. 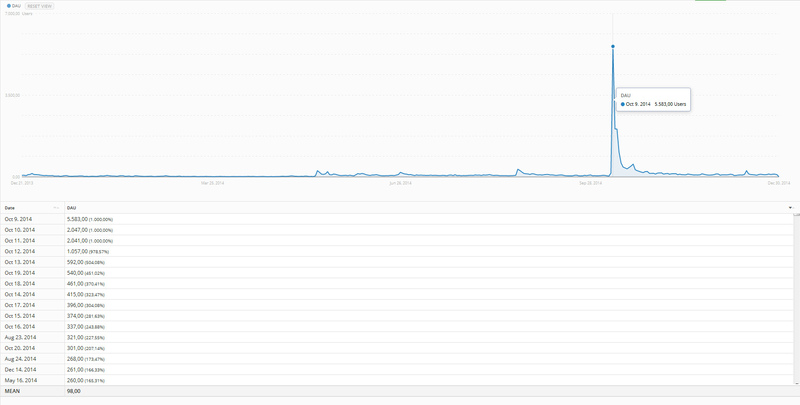 Best day: October 9, 2014, with 5583 concurrent players. Daily Active Users by Country: United States with 19 DAU comes in the 1st place, closely followed by France with 18 and Brazil with 16. Average session length: On average, each user plays the game around 121.58 seconds (a bit over 2 minutes). That probably translates as loading the game, playing a single level, then quitting. As you’ll see in a later graph, the average finish time for a level is around the 100s mark; Add 21s to that for the time spent on the main menu and there you have the 121secs for the whole session. 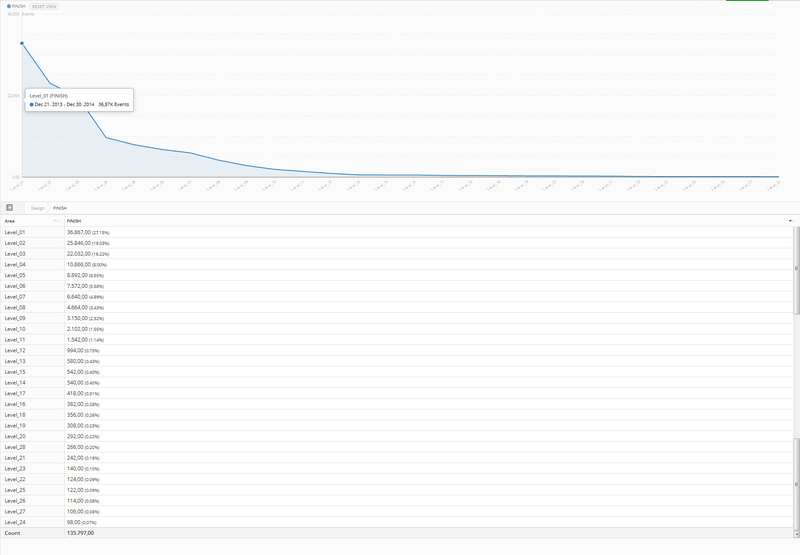 Best month for session length: February 2014, with an average session length of 362 seconds (a bit over 6 minutes). Number of levels started: A total of 321705 levels have been started since Dec. 2013. Most started levels: Level 02 with 40677 plays (12% of the total starts), Level 01 (322604 – 10%) and Level 03 (28623 – 9%). This was expected because those are the first 3 levels in the game and the demo in OUYA requires a purchase to continue playing beyond Level 03. Number of levels finished: 135797. That’s 42% of the started levels, which means that 58% of the plays result in a Game Over (or the player quits before either winning or losing). Most finished levels: Level 01 was finished 36867 times (27% of the total starts), Level 02 (25846 – 19%) and Level 03 (22032 – 16%). Again, this is no surprise because of the 3-Level demo in OUYA and because the higher the level, the lower the players stick to the game. Number of levels restarted: Players have restarted 90887 times, which means that 28% of the total plays are restarted to try again. Most restarted levels: Level 02 was restarted 14037 times (15% of the total restarts), Level 09 (8374 times – 9%) and Level 10 (6746 times – 7%). Level 02 is the most restarted level because it’s the first level to include any kind of hazardous element: Level 01 is just a “walk along” level, so when players reach Level 02 and meet our friendly spikes, bad things happen. Number of deaths: 173730 poor little robots have died in Twin Robots in the last year. Deadliest month: October 2014, with 70588 deaths. That’s about 2353/day, 98/hour, 1.6/second! Death reasons: Spikes are, without any doubt, the number 1 reason for players dying in Twin Robots (55634 deaths – 32% of the total). Second reason for death is emptying the robot’s battery by sending its energy away, either to its twin or into the air (27213 deaths – 15% of the total). I’m not sure if this means people don’t really get this energy sharing mechanic or if they consciously sacrifice themselves to help the other bot. And lastly, the third deadliest element in Twin Robots is the big piston that goes down slowly on the start prison, which ends up smashing the bot if the door is not opened on time (17369 deaths – 10% of the total). Deadliest spikes: These are located in Level 02, and have caused 14767 deaths up to date (26% of the total deaths by spikes happened here). The reason for this is that Level 02 is the first level where the player meets the spikes, since Level 01 is mostly an easy “walk through” level. Level 10 comes 2nd on this “deadliest spikes” rank, causing 4656 deaths (8%) and Level 13 gets the 3rd place with 3794 deaths (7%). Average finish time of a level: 104 seconds (1m 44s). Shorter level according to the time it takes to be finished: Level 15, with an average of 64 seconds (2m 04s). There are of course shorter times on the leaderboards, remember these are averaged values. Longer level according to the time it takes to be finished: Level 21, with an average of 311 seconds (5m 11s). Number of times the twin has been rescued: Players have saved the twin robot by opening the prison door 112705 times. The free version of the game that you can download from Google Play includes ads: A full screen interstitial is shown each time the player finishes/restarts/quits a level. I’m using AdBuddiz for this and although I liked them in the past, it seems they have fewer ads to show nowadays, running out of inventory (=showing no ad at all) pretty often. Ad revenue sits at $46.63, with 64k ad views. I’ve used RevMob in the past but it was even worse! I stopped worrying about this because you can’t make any money with ads anyway unless you have thousands upon thousand of daily downloads, which I don’t. The payout threshold for AdBuddiz is $100 so I guess I’ll just need another year for even seeing a penny. The premium version of the game (that is, the one you pay upfront and then get it full without ads) was removed from Google Play on September 2014. I deleted it because they forced devs to disclose their physical address publicly on the store (but only devs of paid apps, that’s why the free version is still in there). 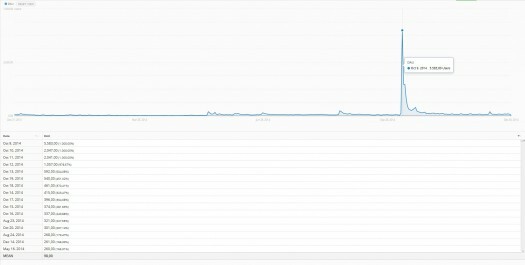 Anyway, from May 2014 (release date of the mobile version) up to September 2014, 34 people bought the game on Google Play. That meant $52. 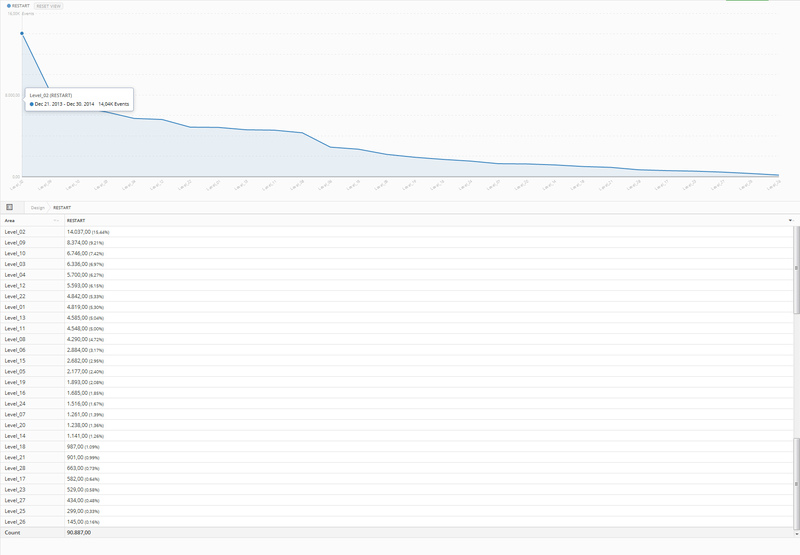 Let’s start with OUYA downloads. 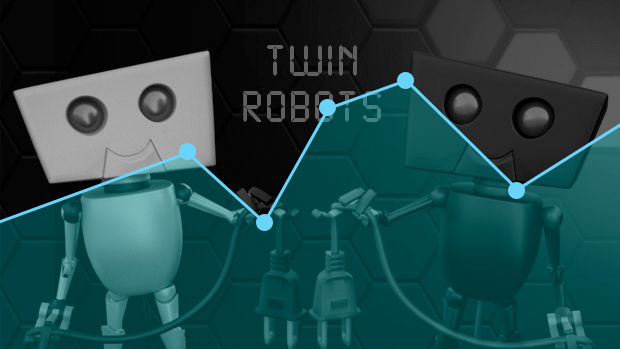 Up to December 2014, Twin Robots has been downloaded 5970 times on OUYA. 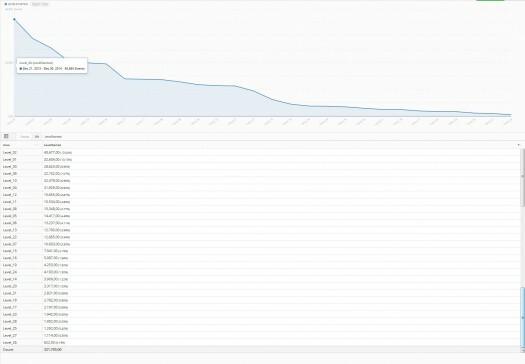 Those led to 298 purchases of the game, but since a download does not always mean a successful installation, to find the conversion rate we have to look at the “installs” data that OUYA provides (not shown in the graph): with 4239 installs, the conversion rate sits at 7,02% which is very nice! Specially if we take into account that the average conversion rate for an app is considered good around 2%. 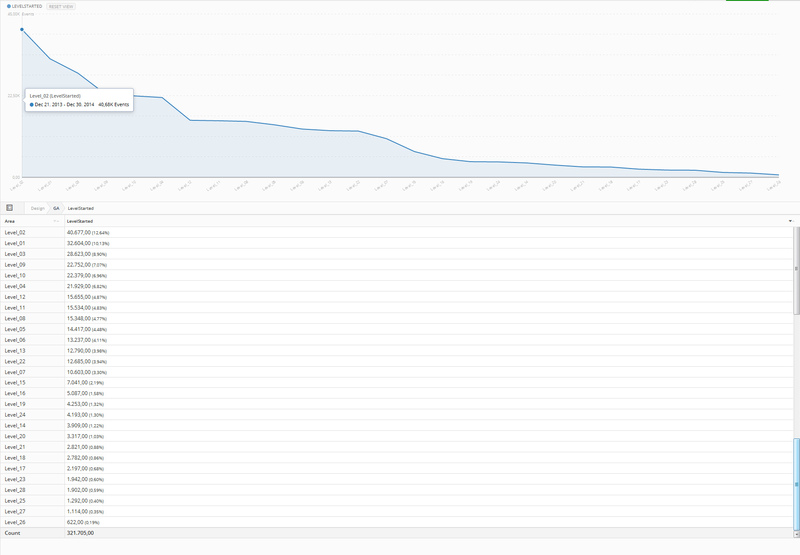 This graph shows the OUYA revenue: $903 (before OUYA takes its 30%). I guess this shows the common lifecycle of a game: The majority of sales happen right at the beginning, and then it slowly drops off. 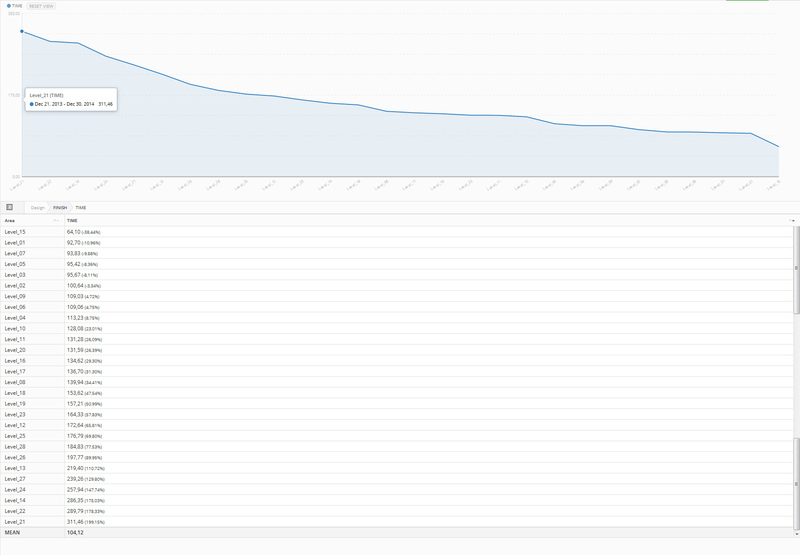 You can read this graph as “OUYA is clearly dead, look at that downward trend! !” but I honestly believe that wouldn’t be accurate. Regarding Fire TV revenue, I’d gladly share it too but it’s Amazon confidential data and can’t be disclosed. Sorry. About GameStick revenue: Twin Robots was released on GameStick on August 2014, so it’s been only available in there for half a year. Regardless, sales have been pretty disappointing to be honest: 3 total sales. And about Android TV revenue: Back in June when Android TV was announced, my game was ready for it thanks to Nvidia; They helped me getting Twin Robots ready for Android TV after I finished fine tuning it to work great on their Shield console. The Android TV prototype that was shown was a device running on a Nvidia K1 chip, but the final device (aka the Nexus Player) was changed and it now works on an Intel x86 chip instead of ARM. A few days before the Nexus Player was revealed, some people from Google reached out to me saying that my game crashed pretty badly on the new device and asked me to fix it. Unfortunately, Unity didn’t support Android x86 at the time (it does now, I believe)… so there was nothing I could do. This happened in September 2014, just when I was removing the paid version of my game from Google Play because of their new “physical address” policy. Given that the free version with ads doesn’t make sense on a TV (no way to click the ad), and the paid version was being removed from the store, there is no revenue from Android TV. It’s pretty obvious that if a game can’t be purchased it doesn’t generate any revenue, I just wanted to include Android TV on this list because I mentioned that Twin Robots was available on there too… So you are not left wondering about that. 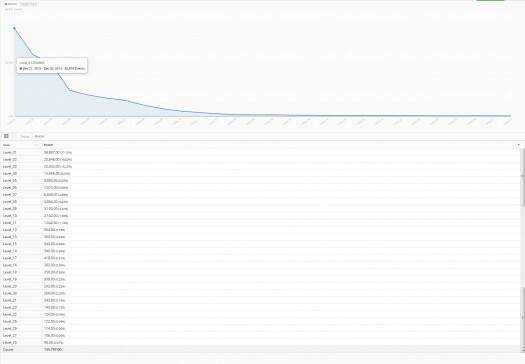 Twin Robots was born as a mobile game, so I wasn’t expecting lots of sales from the desktop version; But the actual numbers managed to surprise me… in a bad way. The game can be purchased from itch.io, Desura, IndieGameStand and even through the Humble Widget. Across all these stores, total revenue of the desktop version was $46. 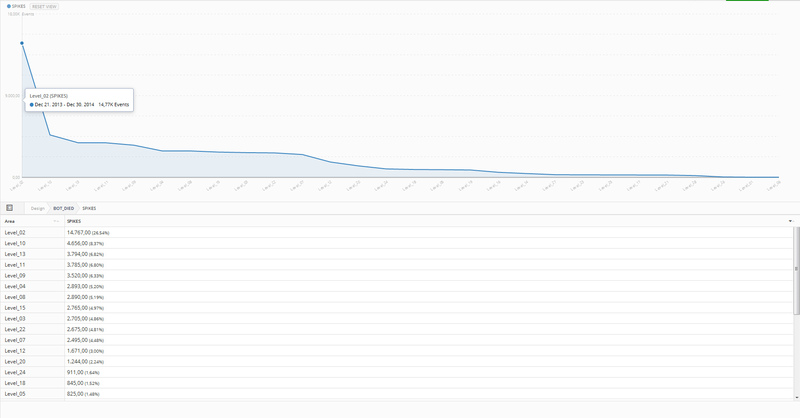 In case you are interested, IndieGameStand sold the more, then itch.io, then Desura and lastly Humble Widget. But this does not mean a lot when talking about such a low volume of sales anyway. Regarding Steam, I payed the GreenLigh fee ($100) but never submitted the game. Lack of confidence, I guess. Now that GreenLight is gone (is it? not yet? I’m a bit off the latest news here), I may give it a try someday. The game was also approved for sale on the Humble Store but I’m still waiting for it to be added, it’s been some months now since they approved it but nothing happened yet; I should contact them to see what’s going on. 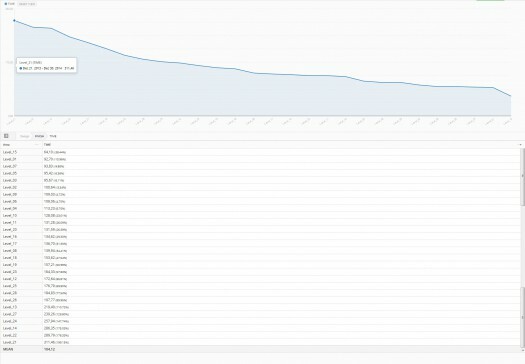 A total of 21737 players mainly from US, France and Brazil, played 321705 times; 42% of them reached the end of the level and 28% restarted it to try again. Level 02 was the most played and also the most restarted one. 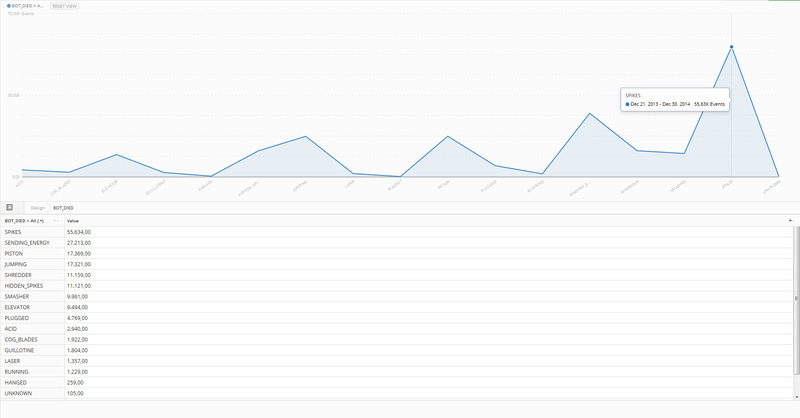 98 users are playing daily, of which 97 do it on the mobile version. They usually play for about 2 minutes. Players have died 173730 times, mainly because of deadly spikes. A good chunk of them also died while sharing their energy. The imprisoned robot has been set free 112705 times. Look at those numbers above: $1053 (+ $X from Fire TV) in total revenue, and that’s before the platform holder (OUYA / Amazon / Google / etc) takes its cut, and before taxes. It’s pretty obvious that Twin Robots can’t be called a success from a financial point of view. But from a more personal point of view, the one where success isn’t exclusively measured in coins, it’s been awesome! I consider it a big step forward over my previous game, and for me that’s also success. I’ve enjoyed creating, sharing and talking about it; Reading comments, reviews and opinions. I’ve learned from all of that, and now that I’ll go back to the starting line for my next game, that’s something I take with me; It will sure help a lot along the way! It’s Clara from AdBuddiz Thanks very much for this informative article, lots of interesting details here! We encourage all our publishers to market their apps as early as possible. In general, we estimate that in order to generate any significant revenue from mobile ads, you should generate at least 1000 ad views per day. It looks like Twin Robots falls a bit below this. You have however created a great game, and I’m excited to see what you come up with next! Just to let you know, we have updated our SDK with new features that will improve your revenues The SDK update is available in your portal. For more information, feel free to email me: clara@adbuddiz.com. I’ll also be happy to discuss your options to grow the traffic of your games. 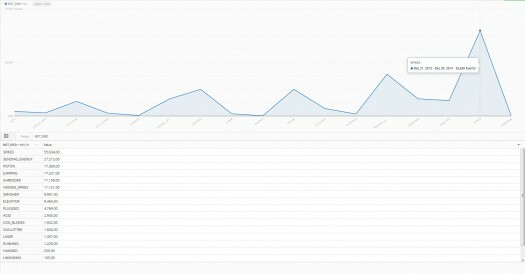 Yes, Twin Robots falls way below the 1000 ad views per day, sadly. That’s why it took me this long to reach the payment threshold (I reached it this month ).